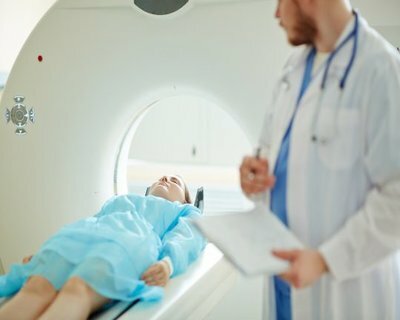 A new study published in the Annals of Emergency Medicine reports that increased use of computed tomography (CT) allows detection of smaller chest injuries as most pneumothoraces and hemothoraces are observed on CT only, raising the question of which injuries require chest tube drainage. Robert M. Rodriguez and associates performed a prospective observational study to determine the incidence of pneumothorax and hemothorax observed on CT only and the incidence of isolated pneumothorax and hemothorax (pneumothorax and hemothorax occurring without other thoracic injuries), and describe the clinical implications of these injuries. The analysis included NEXUS Chest cohorts to determine current treatment practices for pneumothoraces and hemothoraces detected by CT but not by plain films. Enrolled patients were older than 14 years. Primary measures and outcomes included the incidence of pneumothorax and hemothorax observed on CT only verses on both chest radiograph and chest CT, the incidence of isolated pneumothorax and hemothorax (pneumothorax and hemothorax occurring without other thoracic injuries), and admission rates, hospital length of stay, mortality, and frequency of chest tube placement for these injuries. Of 21,382 enrolled subjects, 1,064 (5%) had a pneumothorax and 384 (1.8%) had a hemothorax. Of the 8,661 patients who received both a chest radiograph and a chest CT, 910 (10.5%) had a pneumothorax, with 609 (67%) observed on CT only; 319 (3.7%) had a hemothorax, with 254 (80%) observed on CT only. Of 1,117 patients with pneumothorax, hemothorax, or both, 108 (10%) had isolated pneumothorax or hemothorax. Patients with pneumothorax observed on CT only had a lower chest tube placement rate (30% versus 65%; admission rate (94% versus 99%), and median length of stay (5 versus 6 days; difference 1 day) but similar mortality compared with patients with pneumothorax observed on chest radiograph and CT. Patients with hemothorax observed on CT had only a lower chest tube placement rate (49% versus 68% ) but similar admission rate, mortality, and median length of stay compared with patients with hemothorax observed on chest radiograph and CT. Compared with patients with other thoracic injury, those with isolated pneumothorax or hemothorax had a lower chest tube placement rate (20% versus 43%), median length of stay (4 versus 5 days), and admission rate (44% versus 97%), with an admission rate comparable to that of patients without pneumothorax or hemothorax (49%). The authors concluded that under current imaging protocols for adult blunt trauma evaluation, most pneumothoraces and hemothoraces are observed on CT only and few occur as isolated thoracic injury. Moreover, the clinical implications (admission rates and frequency of chest tube placement) of pneumothorax and hemothorax observed on CT only and isolated pneumothorax or hemothorax are lower than those of patients with pneumothorax and hemothorax observed on chest radiograph and CT and of those who have another thoracic injury, respectively. The central govt is diluting medical standards. It is keen on destroying medical career by increasing the undegraduate and postgraduate seats steeply.Actually , there is no shortage of doctors, but it is a question of distribution. The solution is to start more govt hospitals in rural areas with all facilities and employ more doctors with incentives. Even if the govt increases the seats by one crore the rural urban imbalance will persist. By this steep increase in seats, we are going to get surgeons who dont know even , how to do a appendecectomy( because of too many PG seats , they wont even get a chance to hold the knife) .so , substandard doctors endangering the patients lifes will be the result of such dangerous policy .